Andri Hess is a partner and a member of Homburger’s IP/IT, litigation and arbitration and competition/regulatory practice teams. He has extensive experience in representing clients in patent, copyright, trademark, other IP rights and unfair competition as well as other technology-related litigation and arbitration in a broad range of technical and industrial fields and within international contexts, as well as in negotiating and drafting IP rights related contracts. He also represents clients in regulatory matters before the Swiss Agency for Therapeutic Products and the Federal Office of Public Health. Mr Hess is a board member of the Swiss group of the International Association for the Protection of Intellectual Property and a member of the Swiss Arbitration Association, the German Association for the Protection of Intellectual Property, the Institute for Industrial Property and the Zurich and Swiss Bar Associations. He has published and edited several books and articles and regularly holds presentations before Swiss and international professional associations. He holds teaching assignments from the University of Stockholm (IP arbitration) and the University of Zurich (patent law), and is a lecturer for the training course for the Swiss Patent Bar exam at the Federal Institute of Intellectual Property. 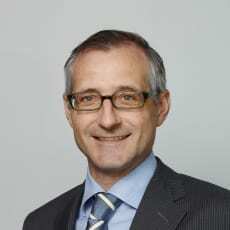 Mr Hess also acts as expert examiner at the Swiss Patent Bar exams. He is fluent in German and English.